Based in Ayr, Scotland, Homesure provide an estate agency, lettings and property investment service. Following our website critique, the focus of this project was rebuilding the existing WordPress website into a new mobile responsive design whilst adding the facility for property listing. 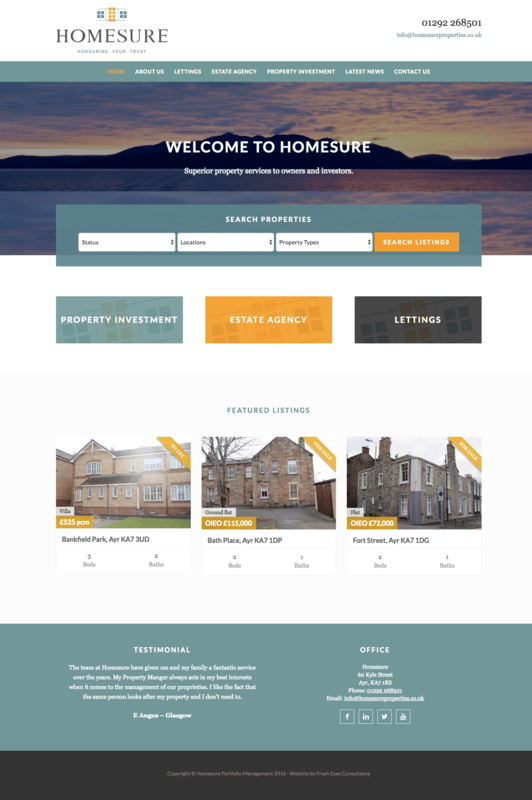 You can view the Homesure website here.